As industries go, agriculture represents one of the worst environmental offenders, according to research by the United Nations Environment Programme. Farms need tending around the clock. So besides all the fertilizers, pesticides and water they use, farms also burn a lot of fossil fuels and money to keep the lights on, tractors rolling and refrigerators humming. Now one major agricultural player in the U.S., Taylor Farms, is making an effort to make food without fossil fuels, and shrink its environmental footprint. The company recently completed a makeover of the systems used to power its Gonzales, Calif. facilities, where it makes fresh-cut salads and other vegetables. Taylor Farms produce is sold at major groceries like Target, Walmart, Publix, Sam’s Club and Stop & Shop. Its competitors include the likes of Dole Fresh Vegetables, Chiquita-owned Fresh Express, Ready Pac Produce and Earthbound Farms. 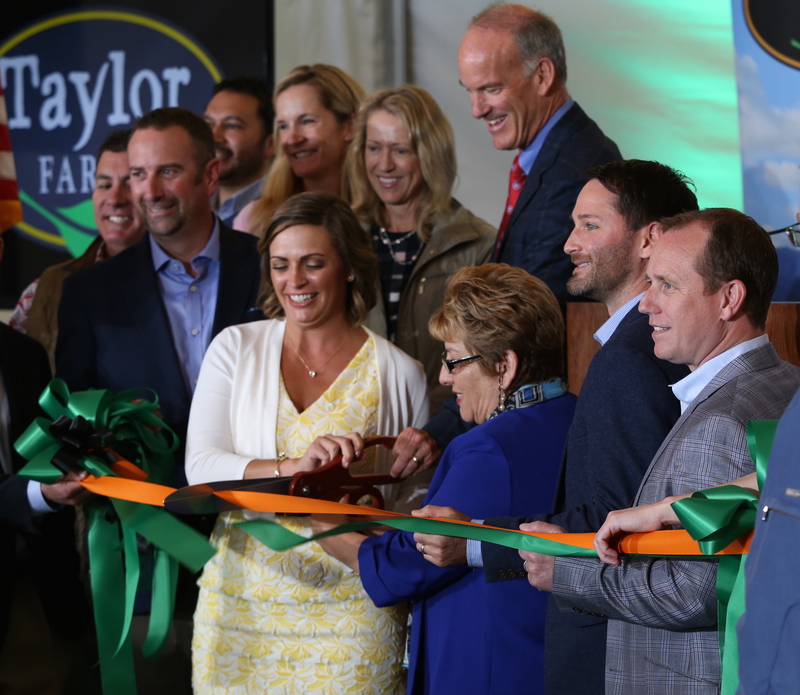 Nicole Flewell, director of sustainability at Taylor Farms, told TechCrunch, “We have three different technologies at this one site. So it’s a unique ecosystem of energy production.” Previously, the company had tried solar, wind and fuel cells but never used more than one renewable energy source at a time on any of its farms. “We are a 24-hour, 365-day business, so to tie these elements together, we had to shut down for 6 to 8 hours, and that was a substantial challenge. You can’t kill power for a substantial time where you have a refrigeration facility,” Flewell explained. The company had to batten down the hatches around its chilled rooms, ship out as much product as it could at once, and push their food production schedule ahead to prepare shipments for buyers early, for days ahead of the switch. The Gonzales facility now employs: solar, wind and co-generation systems from REC Solar, Foundation Wind Power and Concentric Power. While solar and wind power are already familiar technologies to most, co-generation may not be. The Concentric Power system installed at Taylor is a “cogen plant,” that’s about 40 x 60 feet. It uses natural gas and waste heat to provide low-temperature refrigeration for Taylor’s vegetables. Installing such a system requires tie-ins to a facility’s pipes and electrical systems. It’s not quite like plugging in a new refrigerator at home. According to Taylor Farms CEO and founder Bruce Taylor, the company started testing renewable energy technologies five or six years ago, purchasing the first version of the Bloom Energy cell, and installing solar arrays at its Salinas retail plant. Some things didn’t go according to plan, he reflected: “We learned a lot of things like you may have to clean your solar panels more frequently than you expected if a construction site next door starts blowing a lot of dust.” Other things were a happy surprise, he said. Taylor Farms has been able to generate far more power from solar than it thought it might, and now has more surplus to sell back to the grid.